Did you know you can earn hundreds of euros just by hunting bookmaker bonuses? Matched betting is a way to profit from the bonuses, free bets and other incentives offered by bookmakers. 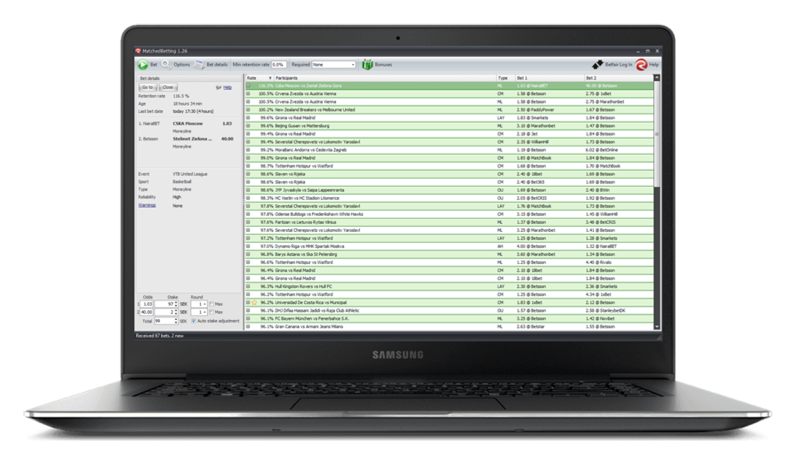 Our software is focused on making this process as easy as possible. You simply enter what bonuses you want to use in the MatchedBetting software, and you get a list of the most profitable odds. The automatic calculator tells you exactly how much to bet on each side to maximize your profits. AutoSurf technology makes it possible to place bets in seconds. Fully automatic bet and stake calculator. Complete and automatic currency conversion. Requires little money and time. Low or no risk of being limited. Much higher bonus returns compared to other services. 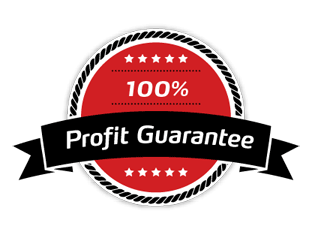 Over 100% bonus returns possible, compared to industry standard 85%. Want to know more? Read the matched betting beginner guide. This is the perfect product if you don’t have a large bankroll or if you just want an easier product. It can also be used as a great complement to RebelBetting and/or ValueBetting, maximizing your surebet and value bet profits with bonuses. Subscribe today and start extracting value from bookmaker bonuses. A great way to boost your bankroll when starting out! RebelBetting products are Windows based (Windows Vista, 7, 8 and 10 supported) but can also be run on Mac. Can I stop my subscription anytime? Yes, you can stop your subscription at any time. By doing so, your recurring subscription will be closed and you will not be billed after your initial period.